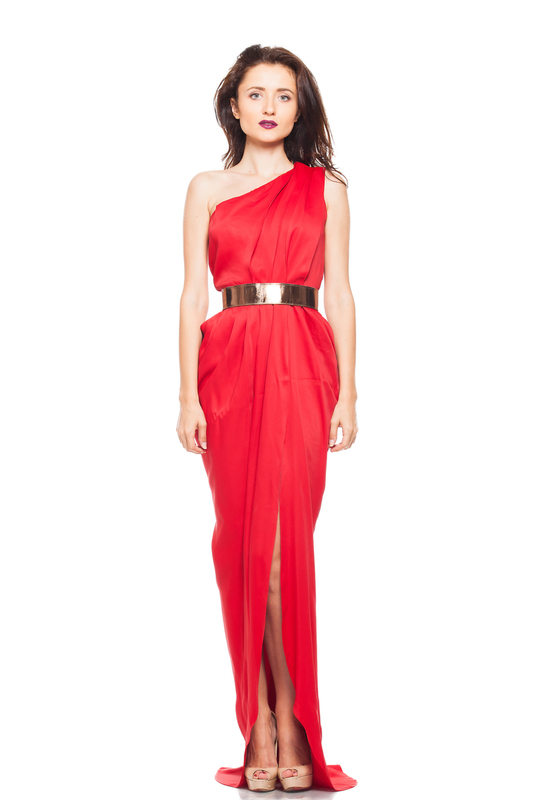 A Grecian goddess- inspired long dress in luxurious red silk, draped around the hips and on one shoulder, held together by an wide bronze leather belt. Also available in white and navy. Reference code R3560R. SKU: R3560R. Category: Special Events. Tags: red dress, red carpet dress.